I used to teach English to Japanese students in Japan and now I am teaching Japanese in America to people who are interested in Japanese culture! I am a PhD candidate majoring in English literature and already have a professional teaching license for English for secondary/high school in Japan, including a 4-year teaching experience at 2 private cram schools for K-12. While I was being a teacher in Japan, I saw many students who just didn't know the best way to learn. It was my great pleasure to discover several very efficient ways of learning for students and I also enjoyed to see them becoming more and more motivated as they improved. My parents are both professors of foreign languages in college, so my affinity for language study might be genetic. I am currently a teaching assistant (TA) for a Japanese introductory class at a local, highly acclaimed college. While in Japan, I helped foreign visitors as a volunteer guide and also helped them to learn Japanese. I have substantial experience in private tutoring with a variety of students, and I excel at helping people who do not feel comfortable in a large class or who need to focus on practice to catch up. 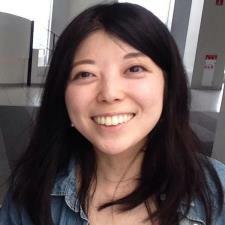 Megumi is one of the most patient teachers I've had, she really works to your pace and what YOU want to cover. If you let her know ahead of time what you're interested in, she will go out of her way to look up more resources and make sure your question is fully covered. She is great at explaining what might be good for something like a test and what is alright for casual and relaxed situations too! Definitely would highly recommend picking Megumi, she's been great to work with and I want to continue! I have really enjoyed working with Megumi. She always takes time to answer any questions I have and I learn a lot from the exercises we go through. She is patient with me when I spend more time on a certain concept, and is also very thorough in her explanations. I would highly recommend Megumi to any student of Japanese! Very organized and patient tutor adapting to student's level of language competence. I asked to start at the beginning, which she did and we progressed logically. I am looking forward to my next lesson and am optimistic that I will progress rapidly. Very patient, attentive to detail, and also flexible. She's very good at explaining the material with real life situations and examples. Very engaging, patient, and quick to adapt to the student's skillset. In addition to being a great tutor, Megumi is an even better person to talk to, which is perfect for practicing Japanese speaking skills. Overall an outstanding learning experience, highly recommended! Very encouraging and knowledgeable Megumi has helped me a lot in my understanding of grammar and my ability to talk Japanese. The ciriculum has grown organically and she has done a good job of matching my skill level and keeps it challenging without it becoming overwhelming. Recommended! !